Sittannavasal is located on the Pudukkottai-Annavasal-Viralimalai route and about 20kms from Pudukkottai. Annavasal is the nearest town to it and about 4kms in distance. Sittannavasal is a treasure trove of past culture and carry so many credits to its historicity, all centered in and around the massive hillock. 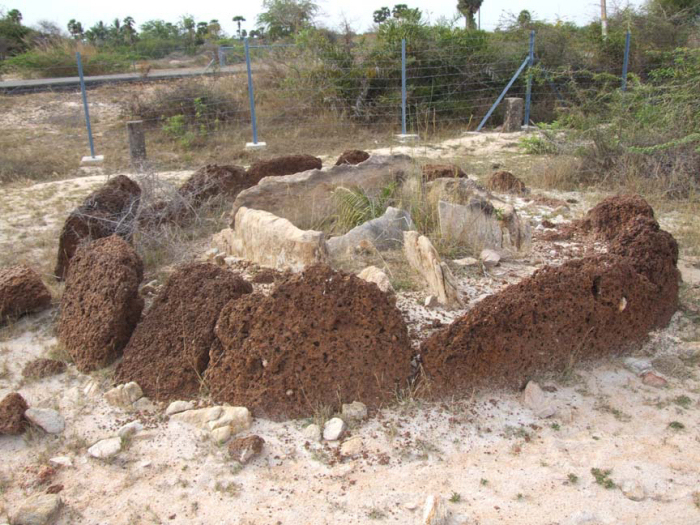 It has continuous traces of cultural deposits viz., Megalithic burials, Jain beds, Tamil Brahmi inscriptions dating from B.C.E. 2nd century, C.E. 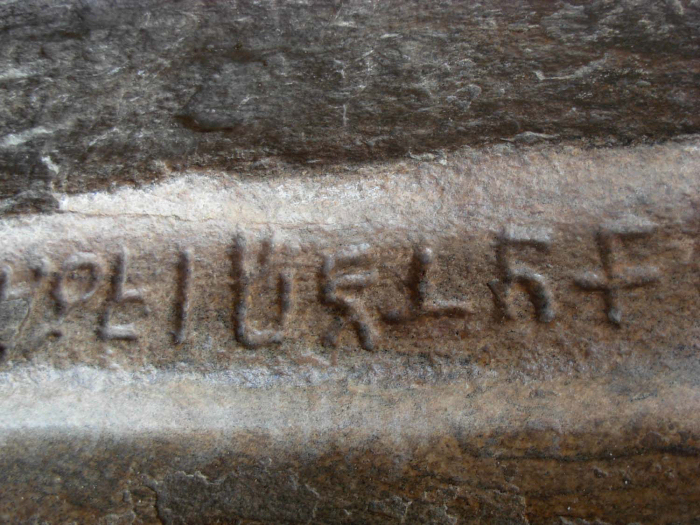 5th century Tamil inscription on a cleft in the hillock, vattalettu on Jain beds and also on the slope of the hillock, paintings, rock cut cave etc., but at present remains as a deserted place. The massive pink granite hillock is running to a distance of 1.75kms of length in north-south direction and to a width of 0.2kms in the east-west direction. It is fully rock-strewn with scattered thorny and bushy vegetations. On the eastern precipice of the hillock is seen a huge cleft on its apex where the Eladipattam, the natural cavern with Jain beds and Tamil Brahmi inscriptions are seen. The Arivarkoil rock cut cave lie on the western face of the hillock. The rock cut cave is thronged with tourist flow and at present Park, children’s play area are established around it to promote tourism. 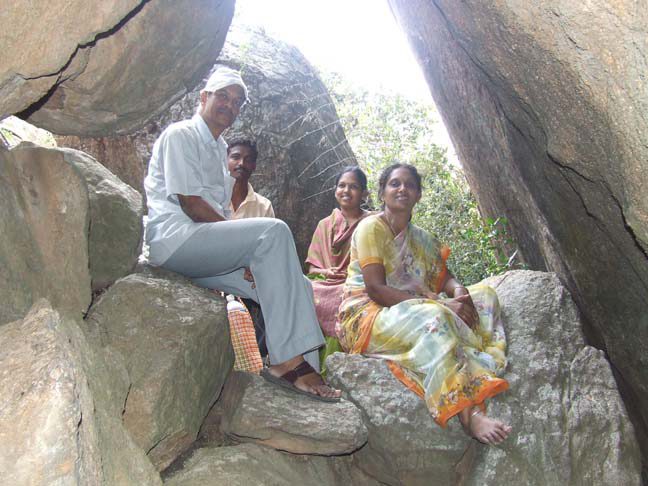 The rock cut cave and the Eladipattam are under the maintenance of the ASI. Sittannavasal remained as one of the Jain strong holds in southern Tamil Nadu. 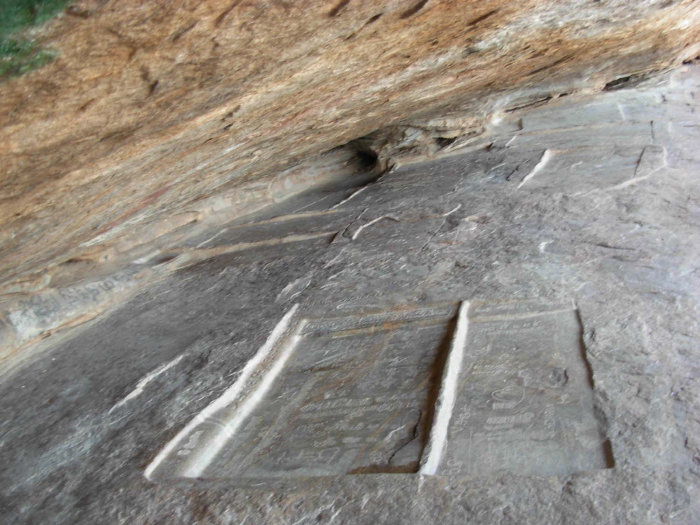 The natural cavern with beds and inscriptions of various periods attest it a continuous strong hold of Jains even starting from the pre-christian era. 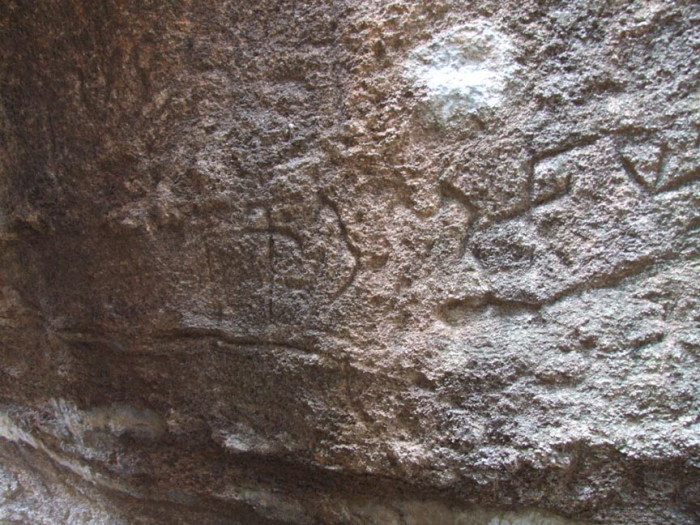 Besides, the presence of Jain imprints at various spots in the hillock also attests the fact. 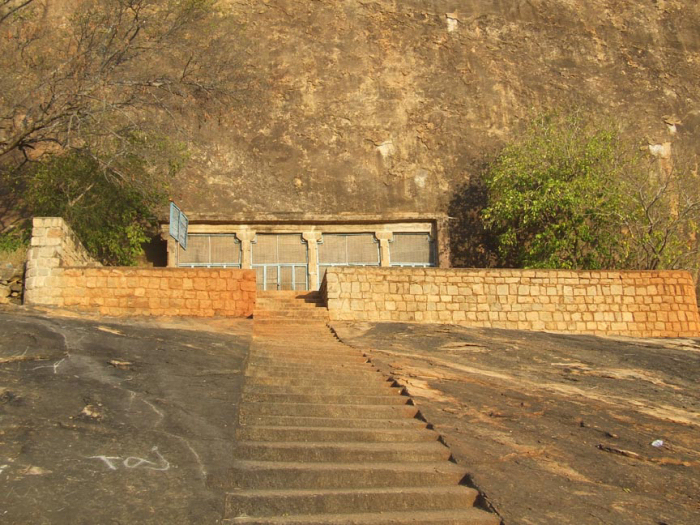 Arivarkoil is a big credit to the Pudukkottai district as it is the only Jain cave of Tamil Nadu. The rock cut cave consists of a facade, a mukha mandapa and a sanctum. Besides, it has a structural addition in front of it viz., a mandapa and a platform. The rock cut cave is scooped in a halfway from the foot of the hillock on its western precipice. Rock cut steps are formed on the sloppy region of the hillock to reach the rock cut cave. In the sloppy region in front of the rock cut cave the ASI has neatly laid a mud platform encompassed by compound wall with a flight of steps in the west to reach it. 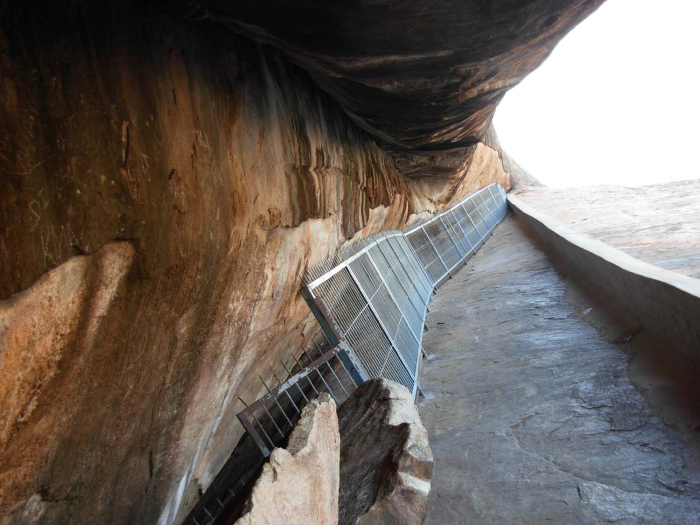 In addition in front of the rock cut cave a stone paved provision to a length of 11.38mts and 2.12mts width, 0.68mts height is laid to reach the structural mandapa. The platform leads to the structural addition which is an open pillared mandapa, but at present shutter provision are made to prevent sunlight penetration. A flight of three steps leads to the front mandapa which has a basement, pillars, potika and prastara. In the basement only the jagati and the octagonal kumuda are visible. The pillars above the basement are five in number and are long shaft with three squares and kattu in between. 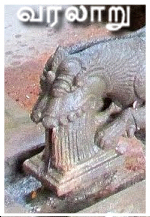 Above the pillars rests the vettu potikas extending its limbs to hold the uttira. The other prastara components are vajana, valabhi and kapota. The sides of the mandapa are covered with cement plastering adjoining the corner pillars. Inside the mandapa is 10.77mts in the north-south and 1.44mts in the east-west directions. The floor of the mandapa is paved with stone blocks. The roof of the mandapa is covered with stone slabs which rest approximately a meter high above the rock cut kapota. 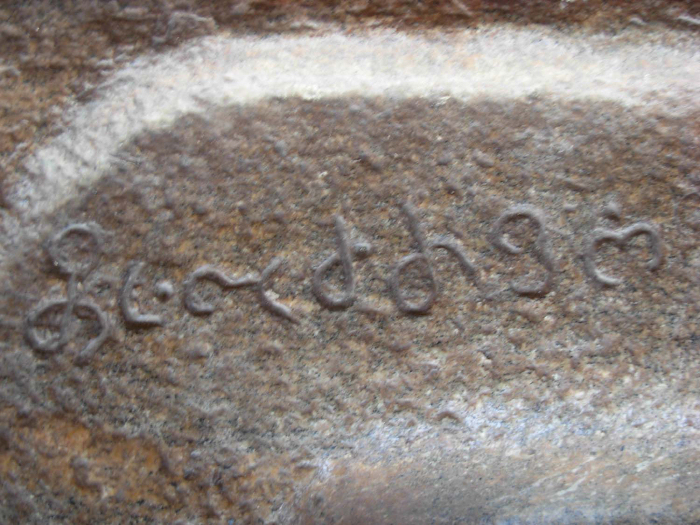 The mandapa extend 2.72mts on the south to cover the Ilangauthaman inscription inscribed on the slope of the hillock. On the northern side the mandapa extends 0.44mts beyond the facade. The rock cut cave is 0.67mts high from the mandapa floor and it has rock cut floor extension in front of the façade to a length of 6.97mts in the north-south direction and 0.80mts in east-west direction. Three rock cut steps are cut in the centre to reach the facade. The facade is 6.79mts in the north-south and 0.72mts in the east west directions and consists of two pillars in the middle and two pilasters each one at the corners formed in a raised floor which is 0.05-0.08mts from the front floor. The pillars and pilasters are square kattu square formation and comparing the lower square and kattu the upper square is small. The potikas above the pillars and pilasters are angular with taranga-patta-scroll ornamentation and possess four tarangas in the base and five on the angular region. The hands of the potikas bear the heavy uttira and above the uttira is the vajana buffering the roof and the uttira. The vajana also run downwards along the pilasters and joins the raised floor of the facade, besides also run along the kapota extension. Though the rough rock brow forms the kapota, a well finished slightly curvy canopy is seen. In addition, ridge like finishing in given in the edges. The kapota extension is 0.90-0.83mts and the rock cut side wall extends 0.91mts in the north and 0.72mts in the south. The anganas between the pillars and pilasters are not equal, between the pillars is 1.95mts and on either side is 1.50mts. Comparing the side anganas the middle angana is wide. The facade is 2.60mts height. 2.	www.earth.google.com	10027’ 19.50 N 78043 30.20 E.